The new camera offers many impressive capabilities that are simply not possible with a modern digital SLR camera including high-speed, blackout-free continuous shooting at up to 20fpsiv, 60 AF/AE tracking calculations per second, a maximum shutter speed of up to 1/32,000 second and much more. 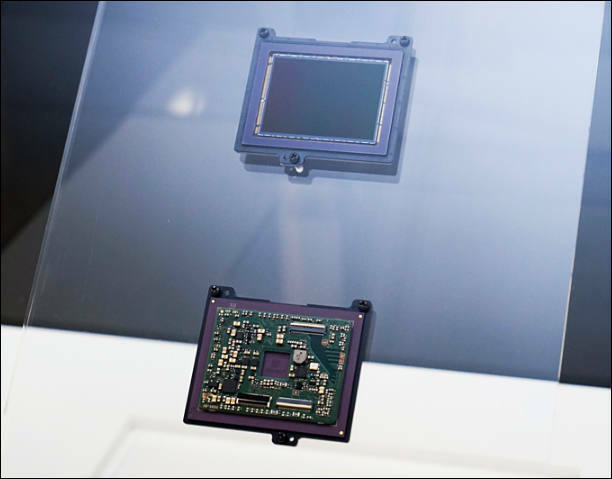 These are made possible thanks to its 35mm full-frame stacked Exmor RS CMOS sensor – the world’s first of its kind – which enables data speed processing at up to 20x faster than previous Sony full-frame mirrorless cameras. This unique sensor is paired with a brand new, upgraded BIONZ X processing engine and front-end LSI that maximises overall performance. Critical to the record-breaking speed of the new α9 is the combination of the new stacked 24.2 MP Exmor RS image sensor, new BIONZ X processor and front end LSI. 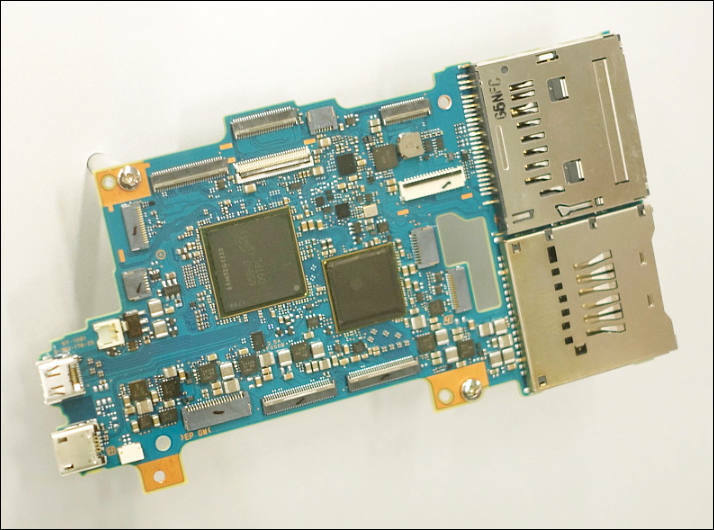 The immense processing power from these new components allows for faster AF/AE calculation while also reducing EVF display latency. The processor and front end LSI are also responsible for the larger continuous shooting buffer, enabling photographers to shoot at a blazing 20 fps with continuous AF/AE tracking for up to 362 JPEG or 241 RAW images. 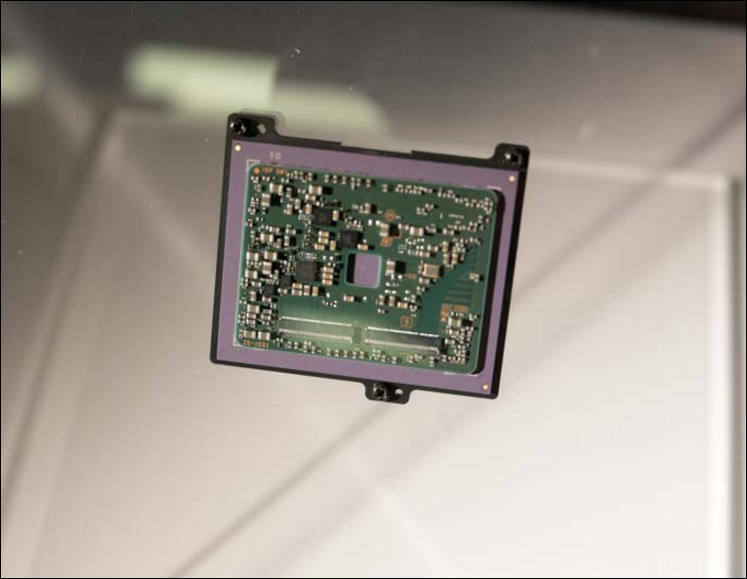 The camera’s innovative AF system tracks complex, erratic motion with higher accuracy than ever before, with the ability to calculate AF/AE at up to 60 times per second, regardless of shutter release and frame capture. Further, when the shutter is released while shooting stills, the electronic viewfinder functions with absolutely no blackout, giving the user a seamless live view of their subject at all times. This feature truly combines all of the benefits of an electronic viewfinder with the immediacy and “in the moment” advantages that not even the finest optical viewfinders can match, and is available in all still image modes[xiii] including high speed 20 fps continuous shooting. The α9 features an all-new, high-resolution, high-luminance Quad-VGA OLED Tru-Finder with approximately 3,686k dots for extremely accurate, true-to-life detail reproduction. The new Tru-Finder, which is the highest resolution viewfinder Sony has ever incorporated in an α camera, features an optical design that includes a double-sided aspherical element, helping it to achieve 0.78x magnification and a level of corner to corner sharpness that is simply outstanding. The EVF also utilizes a ZEISS® T* Coating to greatly reduce reflections, and has a fluorine coating on the outer lens that repels dirt. This all adds up to a luminance that is 2x higher than the XGA OLED Tru-Finder from the α7R II, creating a viewfinder image with a brightness level that is nearly identical to the actual scene being framed, ensuring the most natural shooting experience. The frame rate of the Tru-Finder is even customisable, with options to set it for 60 fps or 120 fps to best match the action. The α9 is equipped with an innovative 5-axis image stabilization system that provides a shutter speed advantage of 5.0 steps, ensuring the full power of the new sensor can be realized, even in challenging lighting. 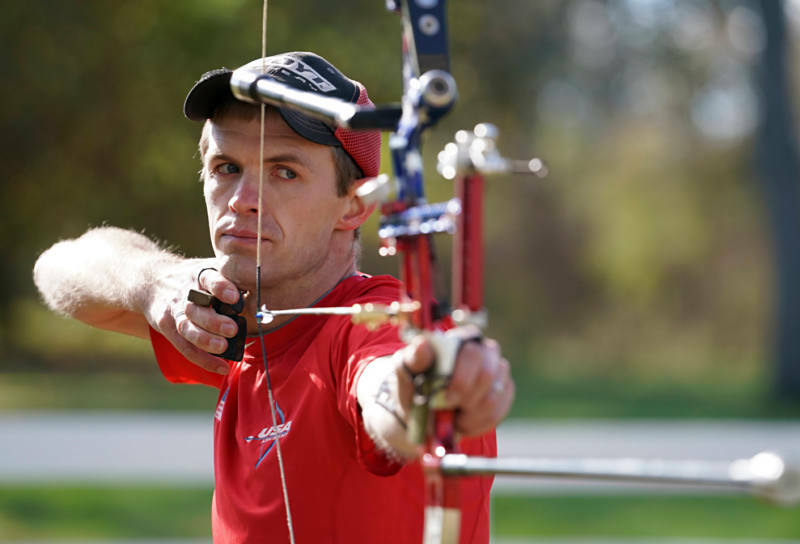 With a simple half press of the shutter button, the effect of the image stabilization can be monitored in the viewfinder or on the LCD screen, allowing framing and focus to be accurately checked and continually monitored. The unique design of the α9 image sensor represents the pinnacle of Sony device technology. The 24.2 MPii full-frame stacked CMOS sensor is back-illuminated, allowing it to capture maximum light and produce outstanding, true-to-life image quality. 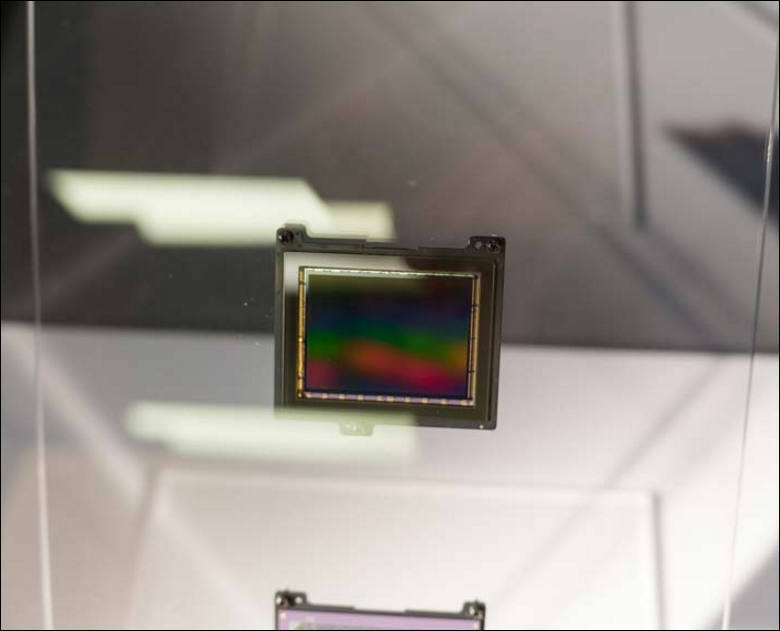 The sensor also enables the diverse ISO range of 100 – 51200, expandable to 50 – 204800 , ensuring optimum image quality with minimum noise at all settings. The new α9 is a very capable video camera as it offers 4K (3840x2160p) video recording across the full width of the full-frame image sensor. When shooting in this format, the camera uses full pixel readout without pixel binning to collect 6K of information, oversampling it to produce high quality 4K footage with exceptional detail and depth. Recording is also available in the popular Super 35mm size. Additionally, the camera can record Full HD at 120 fps at up to 100 Mbps, which allows footage to be reviewed and eventually edited into 4x or 5x slow motion video files in Full HD resolution with AF tracking. NP-FZ100 Rechargeable Battery: High-capacity battery with approximately 2.2x the capacity of the NP-FW50 W-series battery. Supports InfoLITHIUM® technology, which makes it possible to view the remaining battery power as both a percentage display and five step icon on the camera’s LCD screen. VG-C3EM Vertical Grip: Provides same operation, handling and design as α9, doubles battery life and allows USB battery-charging via the camera body. NPA-MQZ1K Multi-Battery Adaptor Kit: External multi-battery adaptor kit capable of functioning as an external power supply for four Z series batteries and as a quick charger. Kit comes with two packs of NP-FZ100 rechargeable batteries. GP-X1EM Grip Extension: Grip extender with same look, feel and design as α9. Enables more solid hold on camera. BC-QZ1 Battery Charger: Quick-charging battery charger. Charges one new Z series battery in approximately 2.5 hours. The α9 interchangeable lens camera will start shipping from June 2017 priced at approximately $4,500. Huh. It's a bummer that they haven't changed the video specs at all. I was really hoping that they'd come out with something closer to the GH5. We can cross our fingers that the HDMI out will be >8-bit, at least... It'll be interesting to see the low-light performance - if the camera is the same/better than the A7S II, but with 24 megapixels for stills (and with decent AF), it could still be somewhat compelling... though at a price getting dangerously close to matching an FS5. There is no 4k 60p video? Seems like it is old LSI. It seems the improvements in this camera are focused in photo and not in video. 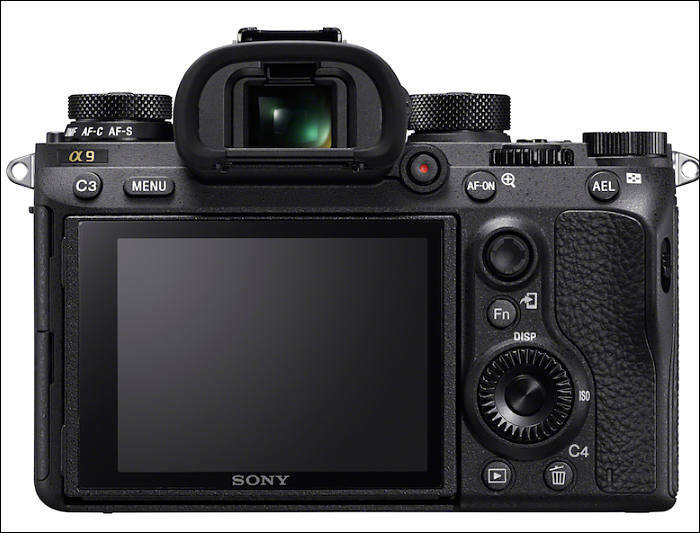 Maybe Sony will release A6700 and/or A7s iii with video improvements. Listened to the Sony announcement kind of funny there trying to own the small camera market. There making the argument for Panasonic and Olympus but pay $2500 more. Not that it's not a nice camera if I had $4500 to blow I'd buy one, I just think odd marketing spin. Sony is no way better than Canon and Nikon. Just a master of disapointment. No S-Log, no Cine Profiles (i bet you can buy those on top), no touch screen, no 10 bit, no 422, no hevc, no articulalting screen, no 240 fps, no 4k 60p, no higher bitrates, no dual pixel video AF, just a photo camera with limited video mode. A photo camera! 2017! hahahahaha! Sleep well Sony. Better EVF, better burst, better autofocus, that`s it. A second sd card slot and a bigger battery is a big invention after 36 years of digital imaging? Maybe there was a resaon for the ridiculously small batteries in the past: To pretend invention. Comon Sony. I know, it's a sports photo camera, but shouldn't a super mega high priced sports camera be not on top of the video specs? They want to seperate video and photo like canon does. Same stupid suicidal greedy vultures! If you castrate your products to get higher margins, it´s the first step in the coffin. Some Pros may switch, but i don`t see a reason to leave Canon for just nearly the same castrated photo camera. For video i stick to my Samsung Nx1 and still my Gh2. I am so disappointed, i really was hoping that we get finally (after waiting all these years) a video ff dslm without bending artefacts and a better autofocus. But no: a photo camera. What a desaster. This is truely no product to be discussed on a video relatetd site. Where did you read that there's no slog or cine profiles? I haven't seen any info on that yet in the specs that I've seen released. 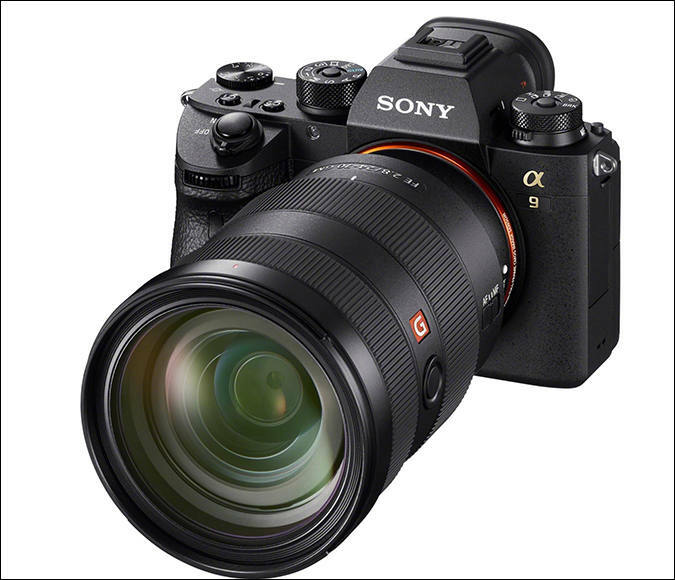 Assuming that they include at least slog2 and super 35mm crop mode, the A9 is no more "crippled" for video than the A7R II is. It seems like this camera is intended to take out the EOS 1DX - about the same price, but smaller, quieter, faster, and higher-resolution - plus 4K video vs 1080p... or the D5 - about $2000 less, but smaller and with extremely similar specs. Maybe A7S III in same price range of A7S II. Maybe A9S with astronomical price. Maybe A6700 in same price range of A6500. Maybe A7000 or A9000 with astronomical price. No slog no picture profiles. I fail to understand what this camera is offering for the substantial price increase...better battery life, incremental photo upgrades for certain kinds of photography, and 4 frames a second short of an insane raw mode. What gives? 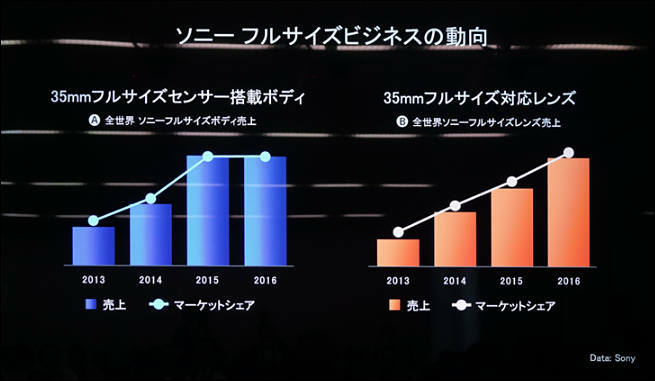 Sony revises upward its annual profit estimation, in part due to the lower costs in its the image sensor business. You can clearly see lower costs in this camera price. and fact that OLED EVF and screen are same as for all top level cameras now..
estimated cost (with mass production and excluding setup and research) is around $500-700. Below $1000 for sure. So, Sony set new margin record with this camera. Watching all this salivating bloggers with Sony paid travel and cameras is just embarrassing. Maybe there going for that rich snob appeal.